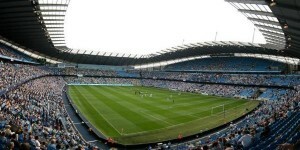 The Blues are reshaping the football and hospitality landscape in Manchester and the world. 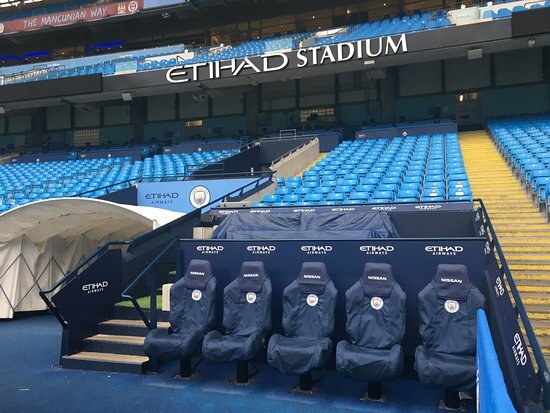 The area surrounding Man City’s Etihad stadium has been transformed into one of the most advanced and inspiring haven’s to the development of the game. 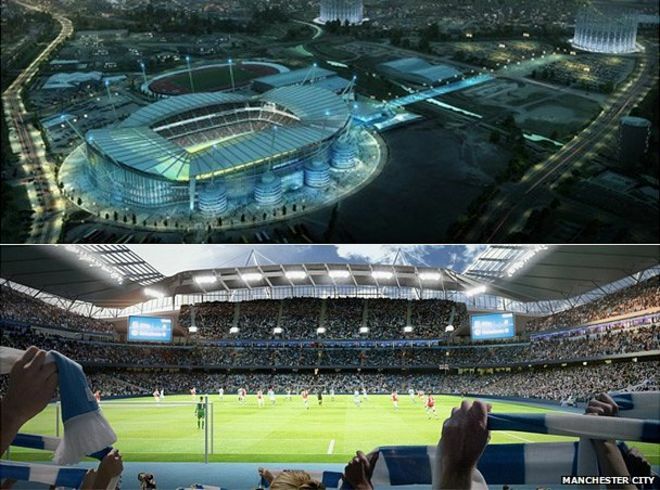 The new stadium extension to over 60,000 capacity, the 7,000 capacity academy stadium and it’s multi-million pound development of the area as a whole means City are leading the way. 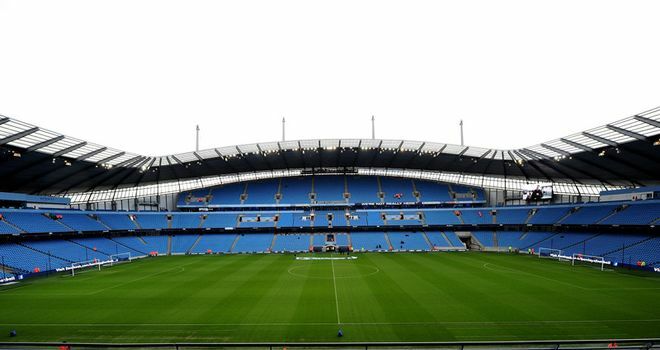 The Hospitality Broker specialises in providing the some of the best hospitality in football. • Access to the box two and a half hours before kick off and then one hour after the final whistle. • Pre match three-course meal with sides. All inclusive drink, beer, wine, and selected soft drinks. • Free car parking passes enabling you to be within close proximity to the ground and entrance. • Former Manchester City player visits. • Olympian seating with a private balcony seating all eight. • Match programme with betting coupons on the table. • Framed signed shirt with player of choice at an additional cost. You’ll enjoy access to a wide range of box options at The Etihad and prices depend on availability and demand for the game of interest. Below are guide prices. Please contact our team for up to date pricing and availability. The Eitahd’s newest experience is setting new standards for a truly immersive VIP experience. High five players as they arrive on the blue-carpet, get exclusive pre-match team news from a Man City coach, see the players enter the pitch with the adjacent players tunnel, see the man of the match presentation live and get your Pep’s eye view of the action from your premium seats behind the dug out. 93:20 is a light and airy bar, the perfect place to relax and enjoy your matchday with friends and family. 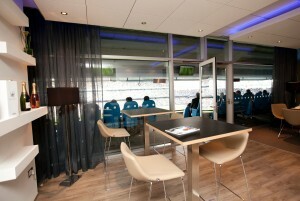 Fans in 93:20 can watch all the match action from their executive padded seat with corner aspect of the action in The East Stand Middle Tier, gain access to the sports bar before the match, at half time and at full time. Fans also receive a matchday programme.